WE LOVE OUR COMMUNITY, AND WE LOVE GOOD COFFEE. The Wired Rooster calls Caledonia, Minnesota, home, tucked into the very southeastern corner of the state. 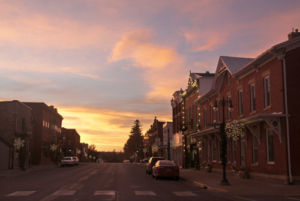 At the heart of the beautiful driftless region, ours is a hard working community. Hours are subject to change each season, and over holidays. We are closed four days a year, on Memorial Day, Labor Day, Thanksgiving Day, and Christmas Day. Special limited hours may apply for other holidays. Please check our Facebook page for updates on special holiday hours.